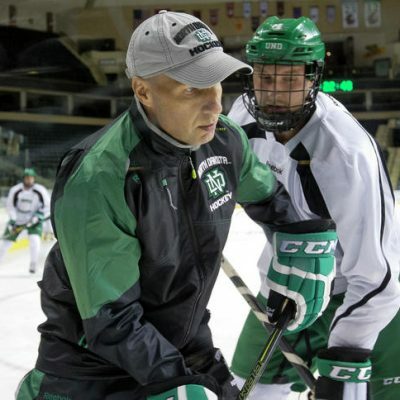 ST. PAUL, Minn. — It was a moment where the crowd got eerily quiet and the staffs and players of the teams on the ice paused. St. 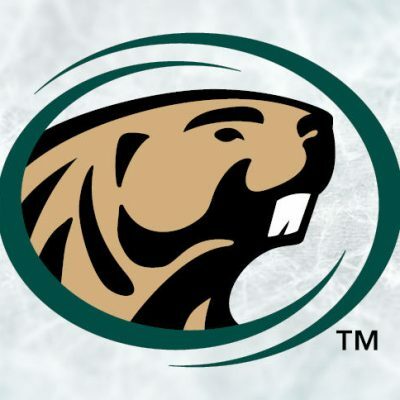 Cloud State junior center Ryan Poehling was skating hard, going after a puck in the Colorado College defensive zone and he lost an edge and crashed into the boards. Poehling was able to get his arms up at the last second, but his facemask could be seen making contact with the boards with 10:58 left in the first period. 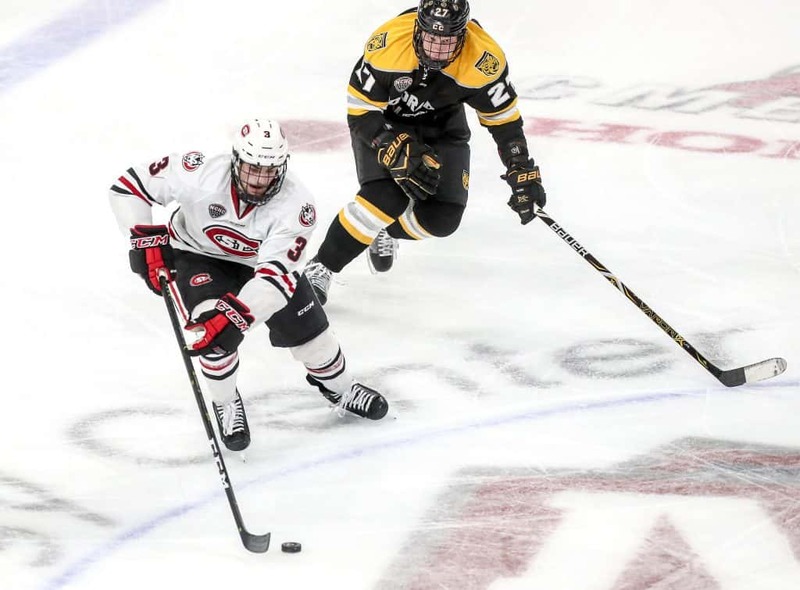 Poehling rolled on the ice, then pulled his helmet off before Huskies trainer Bryan DeMaine was able to get to him to find out the severity of injury. Poehling was able to skate off the ice, but did not return to the game. “Right now, he’s going to go back to the hotel and get some rest we’ll evaluate him in the morning,” St. Cloud State coach Brett Larson said after Friday’s game. “It was very scary. It doesn’t matter who it is. That was a scary moment where he lost an edge, very scary moment in the hockey game. 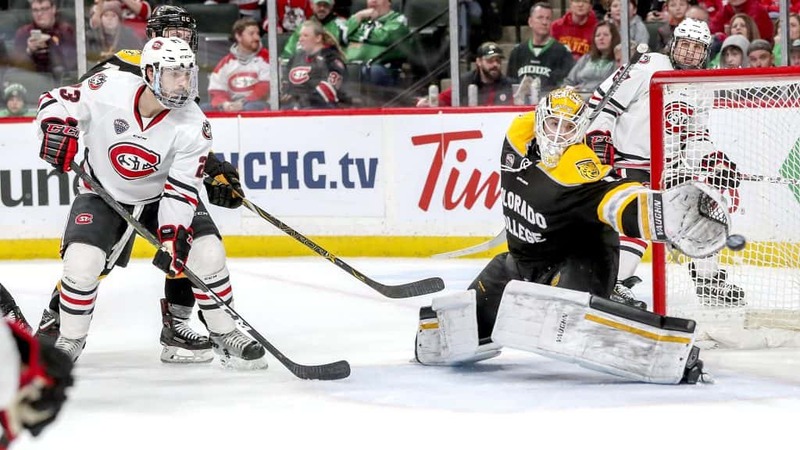 The top-ranked Huskies were trailing Colorado College by one goal in the NCHC Frozen Faceoff semifinals when Poehling left the game. St. 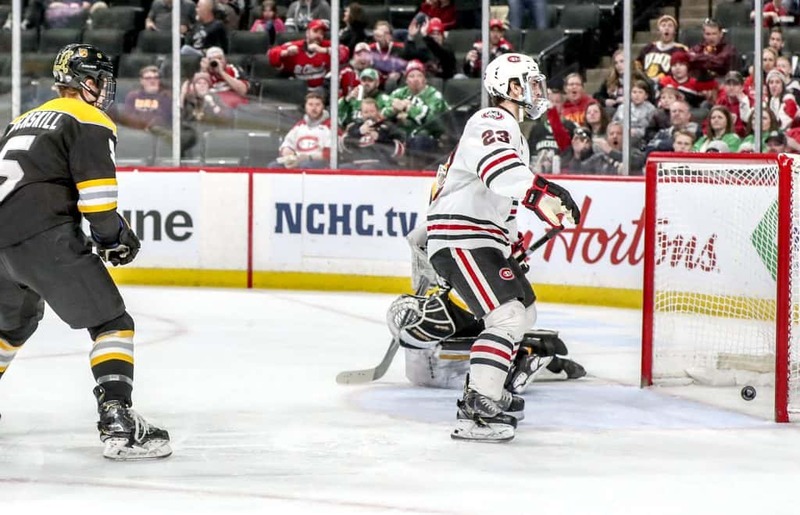 Cloud State (30-4-3) rallied to beat the Tigers 5-2 at Xcel Energy Center to advance to their fourth NCHC championship game. The Huskies play Minnesota Duluth (24-11-2) for the title at 7:38 p.m. Saturday. The Bulldogs beat Denver 3-0 on Saturday night to advance. The winner of the championship will receive the conference’s automatic bid to the 16-team NCAA Division I tournament field, though all three teams are virtual locks to make the tournament regardless of Saturday’s outcomes. 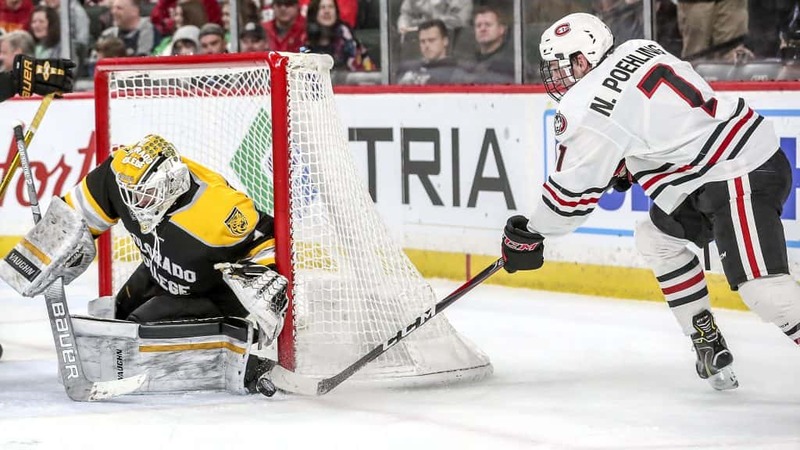 Poehling, an All-NCHC First Team pick and the top forward at the IIHF World Junior Championships, has 23 assists and 31 points in 34 games this season. He is a first round draft pick of the Montreal Canadiens. The Huskies trailed 1-0 after Westin Michaud, a senior from Cloquet, scored a power-play goal at 9:47 of the first period. But St. Cloud State scored two goals 24 seconds apart later in the period to take control. Patrick Newell, a top 10 Hobey Baker Award finalist, scored a power-play goal at 12:27 to tie the game at 1. Then Nolan Walker, an NCHC All-Rookie Team pick, redirected a pass from Jon Lizotte at 12:51 to give the Huskies a 2-1 lead. 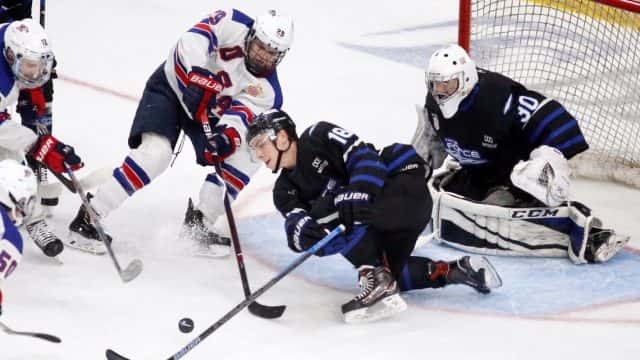 Then senior wing Robby Jackson, a former high school baseball player, scored a highlight reel goal to give the Huskies a 3-1 lead at 9:38 of the second period. If you believe in statistics, the Huskies improved to 27-0-1 when they score three or more goals in the game. But the play defied numbers. Junior defenseman Jack Ahcan scored at 7:21 of the third period to give the Huskies a 5-1 lead. 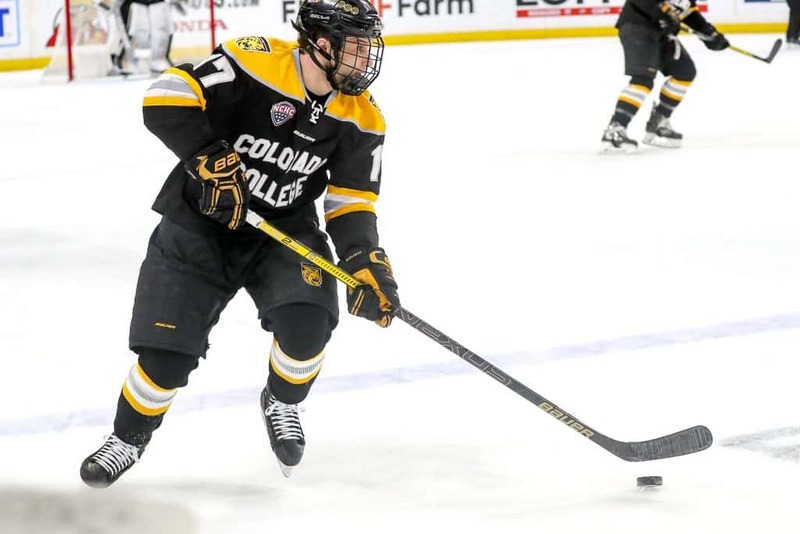 Colorado College led St. Cloud State in all five meetings between the two teams and finished with four losses and one tie. It was a game marred by more penalties than most typical playoff games. The Tigers had five penalties for 21 minutes and the Huskies had eight penalties for 35 minutes. 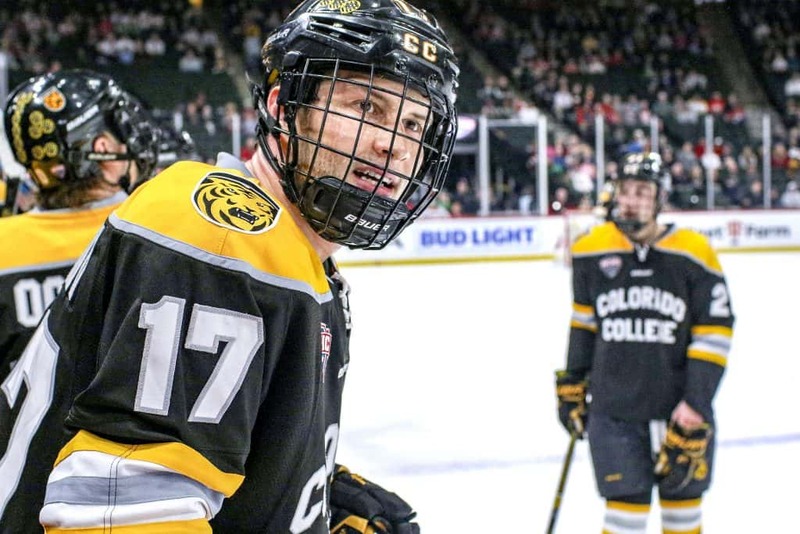 Colorado College senior right wing Trevor Gooch took a major penalty and a game misconduct for contact to the head at 15:54 of the first period. 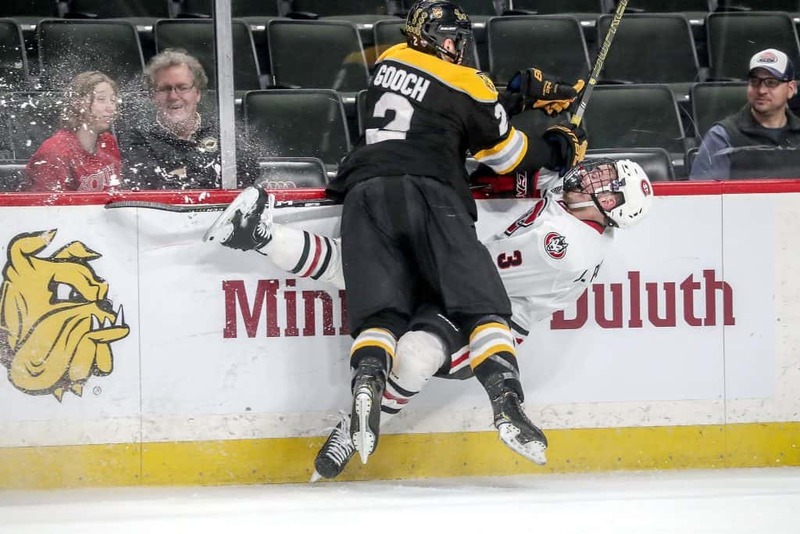 Gooch is a senior who was playing on Colorado College’s top line. 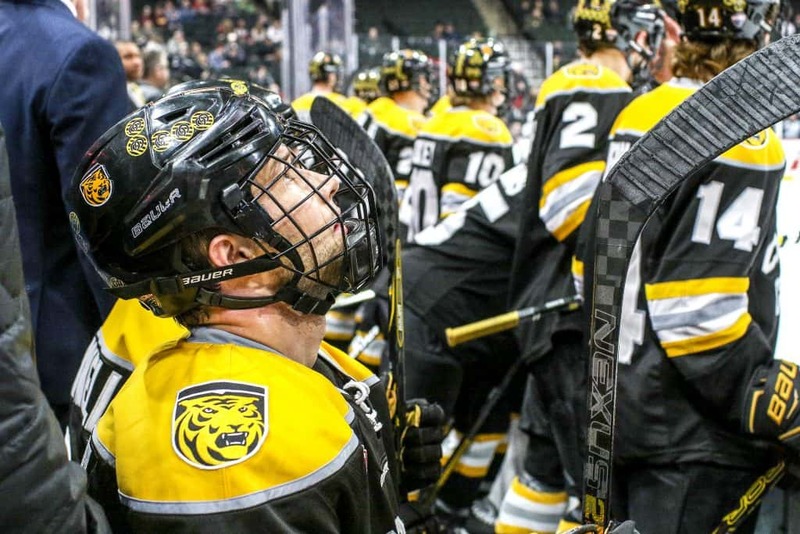 But the Tigers (17-19-4) gambled with 10:44 left in the third period, trailing 5-1. With St. Cloud State’s Nick Perbix off for hooking, teammate Jon Lizotte, who is on St. Cloud State’s top defensive pairing, took a five-minute major and received a game misconduct for checking from behind at 10:44. Haviland pulled his goalie to give a 6-on-3 player advantage. 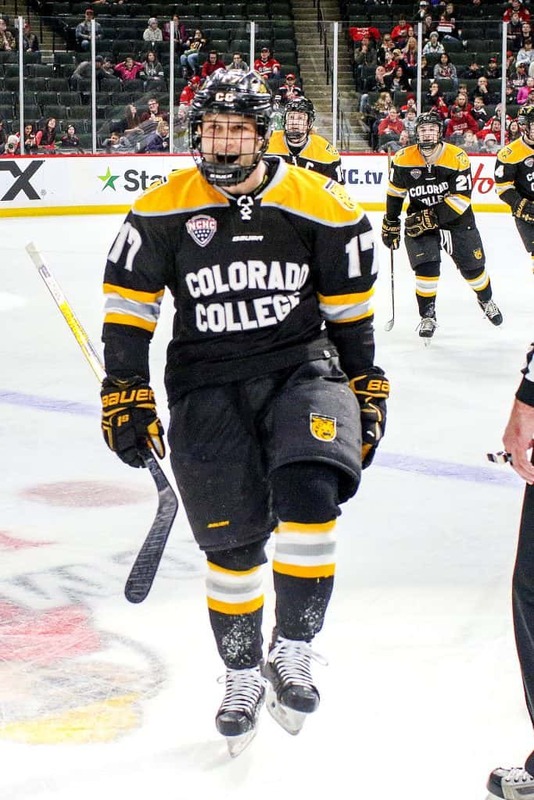 Colorado College scored one power-play goal at 14:47, but the Huskies killed off the rest of the penalty. “I’ve never done that before,” said Schuldt, who was on the ice for most of the penalty kill. “With a 5-on-3 kill, you have set guys you’re supposed to cover and you have to get down at the right place. The win gave the Huskies their 30th win of the season. This is the third time in school history that St. Cloud State has won 30 or more games in a season. St. 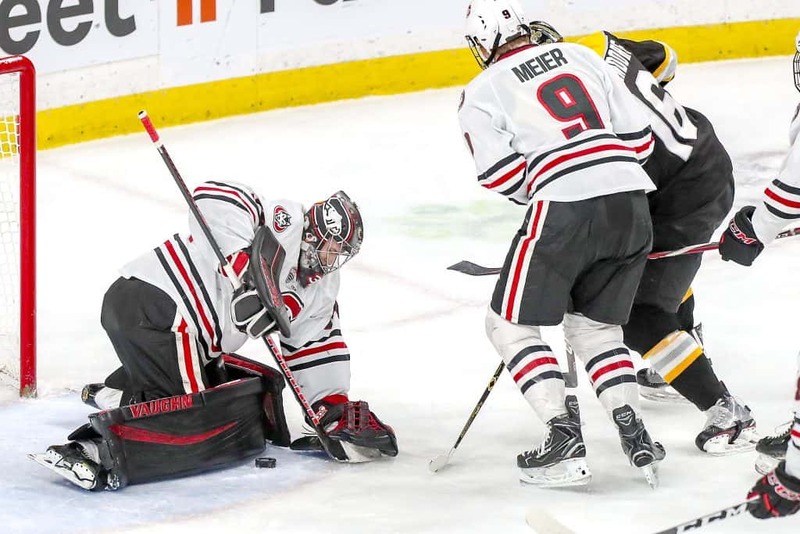 Cloud State won its lone NCHC Frozen Faceoff title in 2015-16 when it finished 31-9-1. The Huskies won the WCHA Final Five title and went 31-9-1 in 2000-01. Both teams lost in the opening round of the NCAA playoffs. Regardless of the outcome of the rest of this season’s games, St. Cloud State will set a record for fewest losses in a season in the Division I era. First period — 1. CC, Westin Michaud 12 (Trey Bradley 19, Bryan Yoon 22) 9:47 (pp). 2. SCSU, Patrick Newell 20 (Blake Lizotte 24, Jimmy Schuldt 24) 12:27 (pp). 3. SCSU, Nolan Walker 8 (Jon Lizotte 8) 12:51. Penalties: SCSU, Robby Jackson (interference) 9:28; SCSU, Jackson (misconduct) 9:47; CC, Westin Michaud (faceoff violation) 12:08; CC, Trevor Gooch (contact to the head, major, game misconduct) 15:54. Second period — 4. SCSU, Jackson 18 (Spencer Meier, Blake Lizotte) 9:38. Penalties: SCSU, Kevin Fitzgerald (hooking) 3:30; SCSU, Sam Hentges (slashing) 7:05; CC, Ben Israel (hooking) 9:57; CC, Mason Bergh (tripping) 19:50. Third period — 5. SCSU, Jack Ahcan 6 (Patrick Newell 25, Fitzgerald 7) 7:21. 6. CC, Yoon 4 (Mason Bergh 20, Michaud 18) 14:47 (pp). 7. 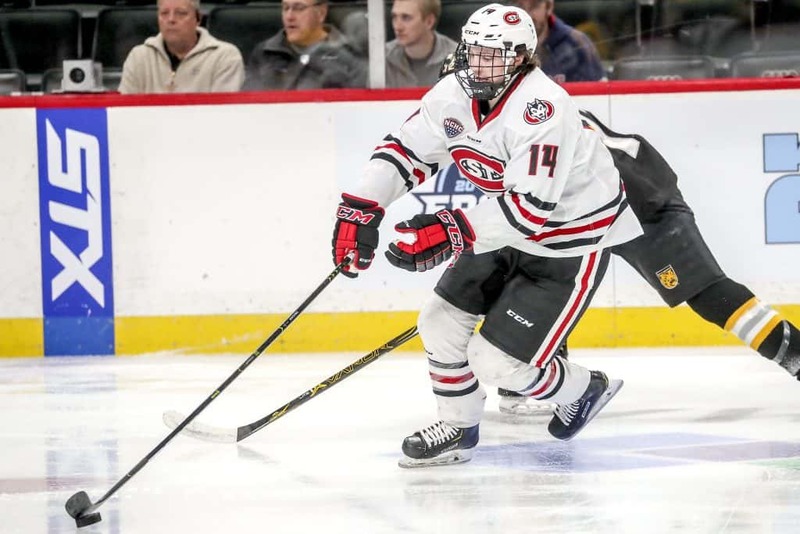 SCSU, Nick Poehling 7 (Fitzgerald 8, Brendan Bushy 6) 16:47. 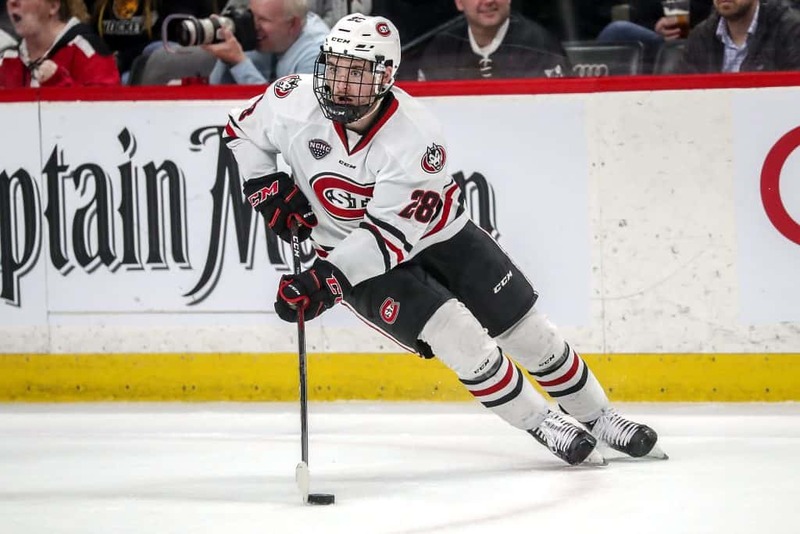 Penalties: SCSU, Fitzgerald (cross-checking) 2:24; SCSU, Nick Perbix (hooking) 10:08; SCSU, J. Lizotte (checking from behind, major, game misconduct) 10:44. Goalie saves — CC: Alex Leclerc 8-9-5 — 22 (5 GA); SCSU: David Hrenak 12-6-13 — 31 (2 GA). Penalties-minutes — CC 5-21, SCSU 8-35. Power plays — CC 2-7 (11 shots), SCSU 1-4 (2 shots). Referees — Timm Walsh and Cameron Voss. Linesmen — Jeff Schultz and Justin Hills.